Thanks to Little A and Amazon Publishing for these copies. As a fan of true crime, the history of the world's first female serial killer is quite intriguing! One of the best things about doing these buddy reads is the discussions we have about what worked or didn't work. While we may not always agree (which is one of the best things about books in my opinion), there are times when the narrative voice may be questionable and it's nice to have a sounding board to see if it's just ME, or if it's the book. In this case, we all seemed to agree - continue below to see what Jessica, Sam and I thought of this one. 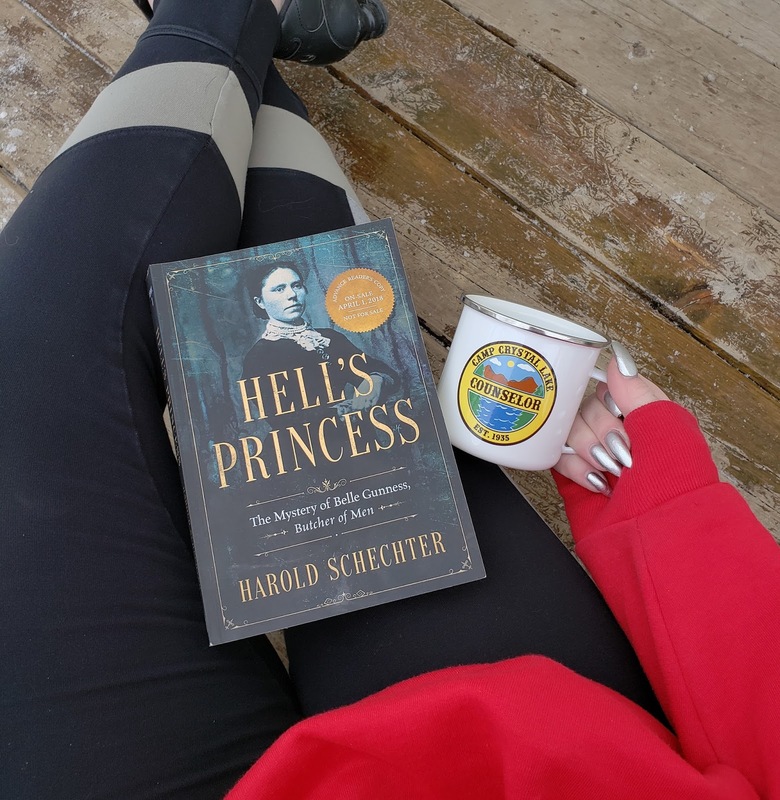 If you've read my reviews before, you know I'm not the biggest fan of non-fiction or history.... except when it comes to true crime and the like. I was SO excited for this book. I have done countless research on serial killers when I was younger as I had a bit of an obsession (still do but less research has been made in the past decade of my life). 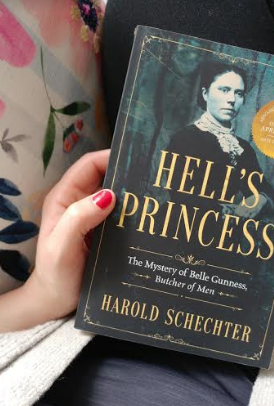 I already knew the story of Belle Gunness but didn't realize how much I remembered until I started reading this. Unfortunately, I was a tad bit underwhelmed with this for a variety of reasons. 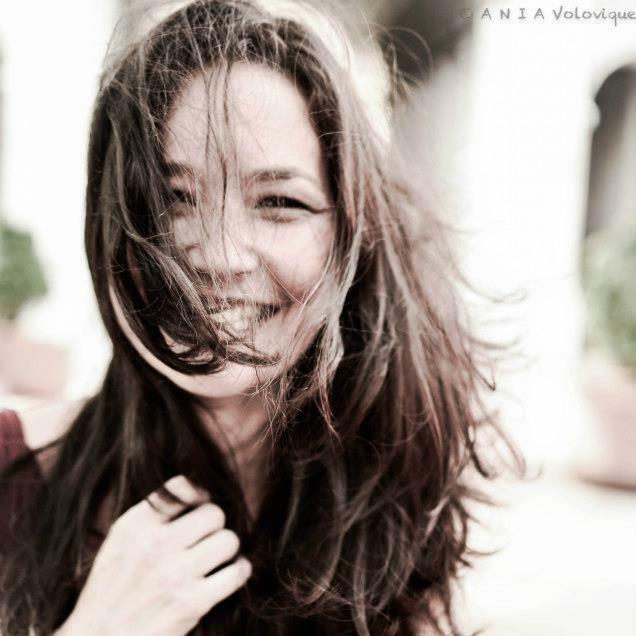 The first quarter of the book was about her and her victims. Then she's found decapitated in a fire and now it's a story about her murder...and if she in fact was or is still at large somewhere. Something apparently no one will ever know. Another true crime that will forever be unsolved. As someone who already knew this story, there was nothing new that I learned. Nothing exciting that came to pass that sparked my interest again. I'm not sure if the author was making references in light of the time period, or if it was his own prejudices and biases that made his book riddled with misogynistic and racial slurs. There was consistent references to Belle not being an attractive woman and clearly her only form of attractiveness was her land and catering to a man's need to be mothered as just a small example of what was found as I read. Take all that above aside and this is fantastic for readers who are not familiar with Belle's story and the aftermath of her killing farm and the poor victims that made their way into her deadly path. Clearly a lot of research has been done... there are several pages of notes and a bibliography to reference. I think this is definitely catered more for those who have never learned Belle's story. If you already know it, then I fear you're not going to get much more out of this read. I’ve been on a bit of a non-fiction kick lately, so, when Chandra from #cjsreads suggested we read Hell’s Princess: The Mystery of Belle Gunness, Butcher of Men by Howard Schechter, I was all about it! I am a fan of historical fiction and true crime so this book seemed like it would be a no-brainer for me. 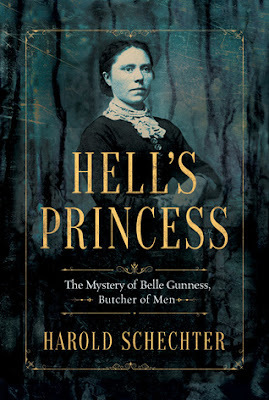 I hadn’t heard (surprisingly) of Belle Gunness before, so, before I started my reading, I did a quick Google search to get myself a little bit familiar with the story. This ended up being a huge mistake. The book ended up being a long-winded version of the Wikipedia page. It lacked any real “story” and just ended up being more of a list of facts. I also really struggled with Schechter’s narrative voice, which I actually found to be a little bit offensive. Overall, I was not a huge fan. If you've followed my reviews for awhile, you'll know that true crime and historical fiction are my jam. I love these genres and will pick up any book that falls under true crime. HELL'S PRINCESS was one of those rare books where I didn't know any information about the subject. 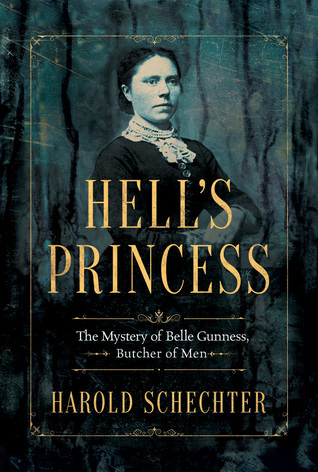 Belle Gunness, the Butcher of Men, sounded intriguing and I was ready to learn more about her. I understand wanting to emulate the time period of the subject, but I felt like this one went a little too far in some cases. I think that Schechter could have limited some of his racial slurs and how he described Belle. 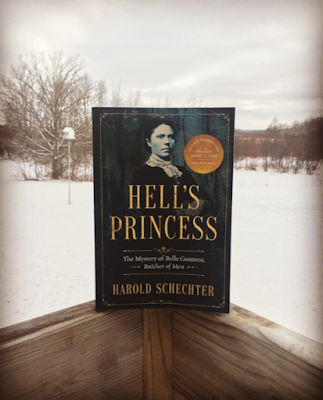 If you're wanting to learn about Gunness and her crimes, then this is a good one to read, but keep in mind that you'll be getting a lot more than just a history lesson.